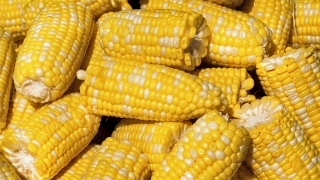 A 50-year-old Rhode Island man is charged with shooting corncobs at his neighbor's home. The Westerly Sun reports that Jeffrey Osella of Westerly was arrested Tuesday night. Police say he answered his door shirtless and had corn kernels stuck to his chest. Police say Osella used a potato gun to shoot corncobs at his neighbor's house, which is up for sale. The gun is made of PVC pipe and uses a light accelerant such as hair spray that can be ignited. Osella is charged with disorderly conduct and firing in a compact area. He's free on bail and is to be arraigned Friday. A phone number for Osella could not be found. It's not clear if he has a lawyer.